How cashless solutions play a pivotal in growing cannabuisness. Last year saw more than $9 billion consumer dollars spent on legal cannabis. This number is estimated to climb to $21 billion by 2021. Over the last few weeks, dispensaries and other legal cannabis businesses across 29 legal medical states (nine of which also allow recreational consumption) did what thousands of other business did -- prepared for tax season. The one unusual part of their process? Hiring armed private security to stage large cash transports -- often totaling hundreds of thousands of dollars -- to U.S. Treasury facilities due to federal banking restrictions. 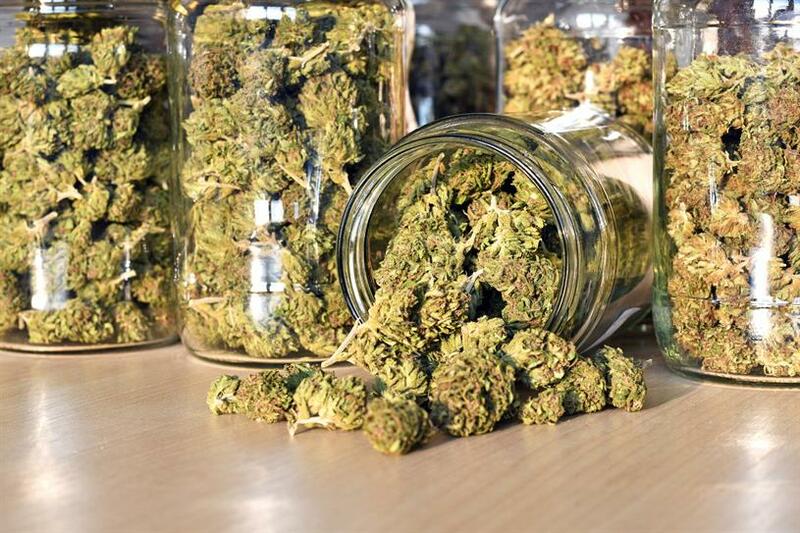 Many are calling this the "cannabis cash crisis," and it is only amplifying with California’s 2016 medicinal-only revenue of $3.4 billion expected to grow to $7.5 billion by 2020 as it legalizes recreational use. Some say the solution is cannabis evolving to a fully cashless economy. Not only would business owners, workers and patients see increased safety, the transactions would be easily trackable -- ensuring the transparency that the industry desires as it builds up both mainstream credibility and government protections. This desire for transparency drew cryptocurrencies to cannabis years ago. Since 2010, at least eight cannabis-specific cryptocurrencies have emerged, including PotCoin, DopeCoin, and ParagonCoin, created by a former Miss Iowa and rapper The Game. However, none have achieved any kind of scale across legal cannabis states. For one, cannabis consumers have little access to them, and most are unaware that they even exist. Others have privacy concerns and prefer to maintain anonymity while navigating the cannabis marketplace. There is also a risk of additional fees, exacerbated by a recent IRS ruling that cryptocurrencies are to be taxed as property, not currency. Meanwhile, canna-businesses fear new federal restrictions in the current political climate, and, as a result, focus on quick return on capital investment, resist drastic change and avoid the sunk costs of big tech investment –- especially into tech that is muttered to be a bubble. Business owners are skittish when it comes cryptocurrencies’ long-standing affiliation with online shadow world marketplaces like Silk Road and are focused, more broadly, on compliance across the legal and financial sectors. Banks and traditional financial institutions eschew cryptocurrencies as well -- to them, they also stand for the obscure, taking advantage of loopholes in the legal system. In culture today, both cryptocurrencies and cannabis still carry negative equity that needs to be shed before gaining mainstream acceptance. As long as cryptocurrency is seen in the extreme, it will drag cannabis back into the shadow rather than out of it. Meanwhile, more traditional financial models are slowly stepping into cannabis. A 2014 ruling of the Cole Memo by the US Treasury's Financial Crimes Enforcement Network (FinCEN) stated that the federal government would not charge banks if the financial institutions themselves ensured that businesses complied with state cannabis law. That places huge risk onto banks, so most are still keeping their distance and waiting out a more favorable business climate. But this could trigger a rise in state banks. For example, California state treasurer John Chiang, who is currently running for governor, announced a unique addition to his campaign platform -- he would like to open the first public bank for cannabis businesses in California, an ambitious project that would cost billions to fund but would likely not happen until cannabis is no longer regarded as a schedule one drug. In some states, credit unions are alleviating the cash burden of cannabis businesses by offering bank accounts. But they come with a price. In California, account fees for cannabis can be up to $60,000 a year. Still, many are drawn to them and the paper trail they provide. Knowing that, Washington state officials have encouraged bank leaders to take canna-cash and, in Hawaii, legislators have allowed all of their eight dispensaries to go cashless and sign on with Denver’s Safe Harbor Private Banking credit union. It seems there is a cashless future for cannabis in sight, but not one driven by cannacoins. Unlike cryptocurrency, blockchain technology, which the transactions are built on, has legitimate promise in helping the cannabis industry achieve the highest level of transparency, accountability and safety without adding friction. By integrating blockchain into supply chain management, business owners could provide legislators, consumers, and banks with the data they need to build what they need to gain mainstream acceptance: trust. The ability to track the lifecycle of a cannabis plant from seed to sale would appease legislators who need to ensure product legality, facilitate proper collection of taxes, protect industry stakeholders, and offer increasingly savvy consumers visibility into the provenance of their bud. That is why IBM, in an open call by British Columbia for suggestions on how to regulate the industry once full legalization goes into effect in July, submitted a proposal for a blockchain solution. While many businesses are hopping on the crypto bandwagon, including those in the cannabis space, hyped digital currencies won’t solve the weed cash problem as long as it remains volatile and out of mainstream use. In the meantime, legislators, financial institutions and cannabusinesses have the opportunity to collaborate on gradually building stable, accessible cashless solutions, and innovating the banking system with the help of blockchain technology. One thing is clear, we need to remove the volatility and obstacles for financial industries or we may stifle the growth of the one of America’s next great industries. Robb Henzi is the vice president of cultural strategy at sparks & honey. Galla Barrett is the senior cultural strategist.